The Showerforce 201T Power Shower has been discontinued and unfortunately does not have a direct replacement. 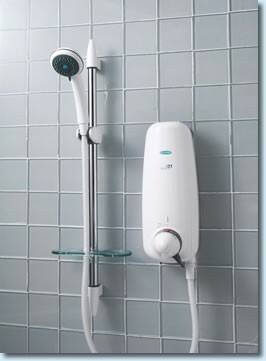 The 1500XT Power Shower is a possible replacement unit. The all new 1500XT power shower is a recommended replacement for your old SF 201-T. VERY IMPORTANT: The 1500XT shower is NOT a direct replacement for the old SF201T shower, you will need to undertake alterations to your plumbing and electric connections which is likely to include disruption to your tiling. IMPORTANT: The Showerforce Brand name is owned by Bristan, as part of their ongoing streamlining of operations all brands are being amalgamated under the Bristan banner. Your new product will be boxed and badged as Bristan not Newteam or Showerforce.